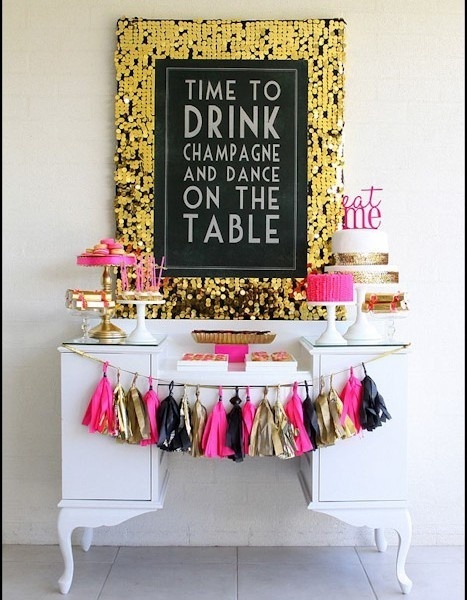 Theme Party Inspiration: A Sparkly New Year — Everybody's Invited! 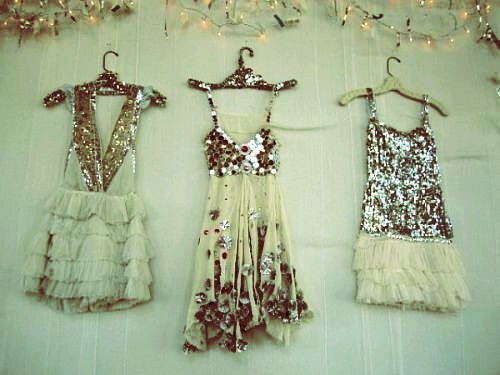 To me, New Year’s Eve is that magical night when I get to wear sequins without feeling like a a pre-teen tap dancer. It’s also a night of reflection and goal setting, and, of course, pretty sparkly parties! Every NYE party needs glitter confetti. Be blunt: get the party started with bold signage. Set the table with gold, sequins, geometric prints, and pretty flowers. Add some shimmer and shine to your champagne bottles. And serve it in these glitter-rimmed glasses. Don’t forget to dress the part. And capture your midnight kiss in front of this DIY sequin photobooth! For auld lang syne, y’all! Everybody’s Invited! wishes you a happy 2013. Find more ideas for A Sparkly New Year on Pinterest.